I love shopping and one of my favourite shops to visit (other than Primark, of course) is New Look. I used to shop there a lot when I was a teenager as there was a shop in town right by my college! Who doesn't love a bit of clothes shopping in your dinner break? Sadly though, since my local shopping centre built a Primark, I haven't really shopped anywhere else. 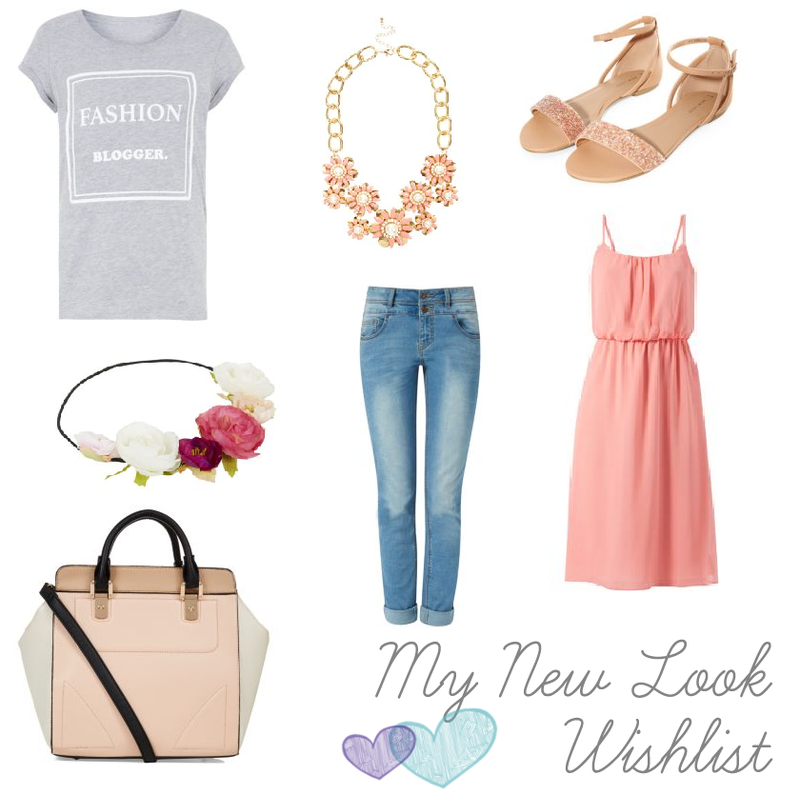 Recently though I've been looking on the New Look website and there is absolutely loads of things I would love to buy! Unfortunately I'm not going on holiday again (at the moment!) so all the summer clothes I do buy, will only be worn out and about and without a gorgeous tan to match but I will definitely need to go on a little shopping spree regardless. These are just a few things I've seen and am planning on buying!